Yes, there is a great opportunity waiting at your door. Before applying for it, you must understand as what is this Silver Fern NZ Visa. Basically, it is for all the high skilled young people that want to work and live in New Zealand for long term. For applying for it, you definitely need to have all correct qualifications and even genuine intend to look out for the skilled employment once arrived in New Zealand. If you are unable to find the long term skill employment, then you might be able to apply for the residence under the category of Skilled migrant. 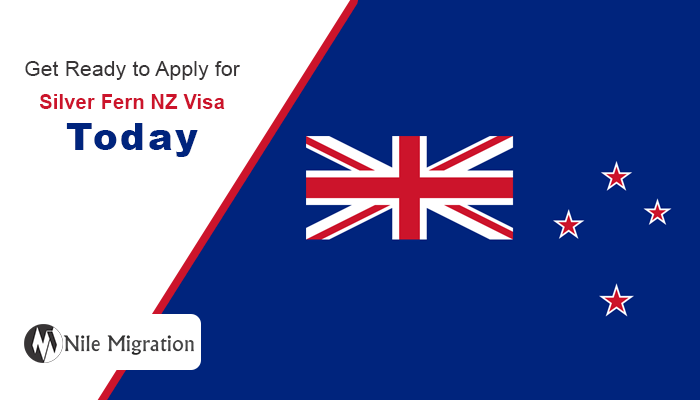 So you must apply for Silver Fern NZ Visa today, which is waiting for you. What can you do with the silver Fern NZ Visa? Hurry up, and apply for Silver Fern NZ Visa today, but there are certain things that you should keep in mind as, the places get filled up very quickly. It is always a good idea to apply as quickly as you can on opening dates. You can even apply online and you cannot include any dependent child or partner in your visa application. So if you are the one who is much eager for the Immigration to New Zealand, then this opportunity is waiting for you. The visa of New Zealand which is called as silver Fern work Visa is going to come up with new applications in this 2017, in November month shortly. The Government of New Zealand has already stated that it will invite only 360 applications for Silver fern Year in 2017. Mainly, this visa as already said is designed for talented, skilled and young people. If you think, you are one of them and have the right qualifications or skills, then you can apply for Silver Fern NZ Visa as great opportunity for immigrating to New Zealand has arrived finally. This visa also comes with nine months validity, however if you are able in finding the long term job in this place, then you can apply for permanent residence in NZ through the category of Skilled migrant. New Zealand Visa apply for Silver Fern NZ Visa, New Zealand Visa. permalink.